We offer Multiple SMS Gateways with High Priority SMS Gateway and Normal SMS Gateway. 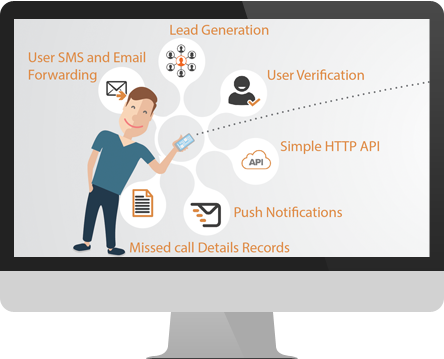 Multiple SMS Gateway helps you to avail our services non-stop when a particular sms gateway is not working then we route it to a working gateway, hence you are always being served by our SMS Gateway. SMSc Guarantees lowest price for the bestest services we provide. High services = low price is a key-feature of SMSc. Our gateway is build upon dedicated servers joining multiple sms gateways that provide lighting fast sms delivery. Sender name matters alot! if you want to send SMS with a 6 Char. Alpha & Numeric Sender id customized sender name. Communicate to your audience by messaging them just in the language they are comfortable with. 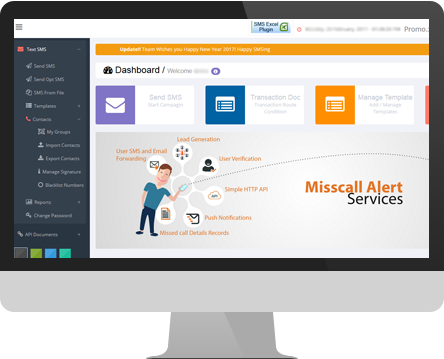 SMSc Provide Real time sms reports downloading in excel format is available with the panel. No need to remember your contacts while sending SMS. Create groups and SMS them in a click. Online DND Filteration does not allow SMS to be sent to users registered with DND Numbers. Broadcast pre-recorded voice call to mass audience. Fully Automated Dialer. Interactive Smart Communication tools with Push & Pull Messaging. Now everything is just a Missed Call Away ! Innovative Next Generation Business Solutions..